Can the mini Pack a Giant Punch? Coming Next to the Mac: Linux and Windows? This time, the incremental "Delta" updater, if you already have version 10.4.4 installed, is a modest 16 MB, but the Combo updater for upgrading earlier versions of Tiger is a whopping 125 MB. The Delta update installer updates Mac OS X 10.4.4 to 10.4.5. The Mac OS X 10.4.5 Update (combo) updates Mac OS X 10.4, 10.4.1, 10.4.2, 10.4.3, or 10.4.4 to version 10.4.5 on both Intel-based Macs and PowerPC-based Macs. There are two ways to update to Mac OS X 10.4.5: Use Software Update or the standalone installer. You only need to use one of these methods to update your computer. Software Update, located in the Apple menu, will automatically download the latest Apple software. (Software Update might have linked you to this article to learn more about the update.) Note that the update's size may vary from computer to computer when installed using Software Update. Some updates must be installed prior to others, soyou may need to run Software Update more than once to get all of the available updates. "Apple has fixed a well-publicized video glitch plaguing Front Row software running on its new Intel-based iMac machines. The fix comes in the form of an update to Apple's Mac OS X (aka Tiger), which revs the OS to version 10.4.5. "The update had been anticipated by many Mac experts, who had said the issue was software related, rather than hardware based." "Thanks to the Mac mini, Apples are no longer getting the cold shoulder by case modders. 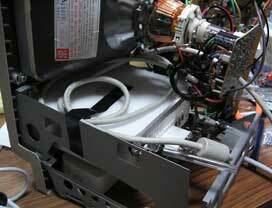 A Japanese fellow put a Mac mini inside of an old-school Macintosh SE/30. Best of all, he managed to get the grayscale monitor to work with the Mini's DVI connection...."
"February 9th, 2006 - Our initial Doom 3 chart only showed a 83% gain of the iMac Core Duo 2.0 over the previous model of iMac (G5/2.1). That was at Medium Quality with Dynamic Shadowing disabled (1024 x 768). When we re-tested both models at High Quality with Dynamic Shadowing enabled, the iMac Core Do was 129% faster or '2.3 times' the frame rate of the previous model - just as Apple showed on their graph...."
"Look, you can pester me all you want, mock my stubbornness, and even point at me and laugh, but one thing is certain: I'm not buying a Mac. "For more than 20 years, I have used only MS-DOS- and Windows-based computers. During that time, I have purchased enough Microsoft software to feed a small family for a year - assuming that I could somehow transform 600-page manuals and stacks of 3.5-inch floppy disks and those annoying 'Certificates of Authenticity' into edible human nourishment. "Despite all this, every few years I replace my outdated PC with a new one. 'I already know how to do everything on a PC,' I say, echoing the most popular explanation for not switching to Apple." "...I've had enough. If the only way to get you Mac people off my back is to go to apple.com, navigate the simple e-commerce interface, assemble the computer of my dreams, enter some credit card information, click 'Buy,' and then wait for FedEx to deliver my sleek new computer, well, fine. That's what I'll do." "Apple's new iMac running the new Intel Core Duo microprocessor is the finest, most reliable, stable, elegant and intuitive personal computer available anywhere. "This new iMac, which marks the first time Apple has used Intel chips to power its machines, is simply astounding. As multimedia and digital entertainment becomes more mainstream, you will find no other machines as well suited to create, edit and display audio and video materials." "Upcoming Intel-based Mac minis will not sport an integrated iPod dock, a variety of sources said to be familiar with Apple's plans have claimed. Such a move was predicted late last year, with the precedent of discoveries made in March 2005 that the computer had the internal connections necessary for a built-in dock." "For the past year or so, I've been pondering methods for writing addendums to my reviews of software products, hardware, and services. The problem is that we live in an interconnected world, and everyone expects to find reviews of new products on their favorite Web sites as soon as possible. In many cases, I'm able to work with companies such as Dell, Lenovo/ThinkPad, and Microsoft to ensure that I have early access to products so that my reviews can be timely but also benefit from actual real-world experience. In other cases - Apple is a typical example - the companies involved are secretive about new products.... I face other concerns. If I spend a few weeks with a new Apple iMac, a digital camera, or a laptop, and I experience no problems at all, it's to be expected that my review would be positive. But fairly often, problems begin to crop up with these products over time. And although I haven't settled on a method for recording such problems, they've often accumulated to the point at which I wish I could change an existing review to reflect the problems I've experienced. I think of these changes, or addendums, as my response to problems that have occurred '28 Days Later,' in honor of the movie of the same name. In that film, a virus appears to wipe out most of humanity, destroying society and forcing the few healthy remaining humans to fight for their survival. That's pretty much how I feel after a review goes bad. "Let me give you a few examples. Recently, I reviewed Apple's stunning iMac Core Duo here in Connected Home Express...."
"To be a real success, the Mac mini needs to be marketed as a capable, full-figured Mac, not a glorified iPod for Internet surfers. "As I read through AppleInsider's report yesterday that Apple had scrapped plans to include an iPod dock on its Intel-based Mac mini, I found myself wondering two things: 1) why would anyone want a dock protruding from their computer; and 2) whatever happened to the mini? "Now, it's been more than a year, and the Mac mini has only seen an 80MHz speed bump, and that's only on some of the models. "Momentum is building, albeit unevenly, to bring alternate operating systems to the Intel-based Macintosh computers that Apple Computer recently released. Despite a lack of encouragement from Apple, operating system vendors and enthusiasts are working to make Linux or Windows run with the Mac OS X already installed on the latest Apple iMacs and MacBook Pro laptops. The iMacs are available now; the new laptops are due out later this month. Both of the 'Mactel' lines sport Core Duo processors from Intel. "Interest is also growing among Windows users, who cite the operating system's unparalleled selection of software and want to port it to run on Apple's stylish hardware. A Microsoft spokesman confirmed that neither Windows Vista nor XP will work 'out of the box' with the MacIntels. The reason, said Microsoft, is because Apple decided not to install a piece of firmware optional to EFI called a Compatibility Support Module that was available from Intel." Link: Coming Next to the Mac: Linux and Windows? PR: Other World Computing (OWC) and Newer Technology Inc. (NewerTech) have announced the highly anticipated immediate retail availability of the miniStack™ V2, the 2006 upgrade to the award-winning miniStack computer enhancement storage solution. The newly upgraded NewerTech miniStack V2 is engineered to increase drive capacity 80- to 500GB while adding integrated 2-Port FireWire and 3-Port USB 2.0/1.1 powered hubs that are ergonomically divided between rear and side configurations. Although designed to maximize the Apple Mac mini, the NewerTech miniStack works with any Apple or PC computer with an available FireWire or USB port including any iMac, iMac Intel, mini PC, desktop PC, or portable MacBook Pro (Intel), iBook, notebook, or PowerBook. The NewerTech miniStack was named Accessory of the Year by 123Macmini, Editors' Choice by MacAddict, and Top Product by Macworld in 2005. OWC and NewerTech premiered the new 2006 sleek upgraded miniStack V2 design at the Macworld Conference & Expo in San Francisco and the Showstoppers media event at the Consumer Electronics Show in Las Vegas. "The NewerTech miniStack V2 is more than a new design, it's a newer design from NewerTech. The miniStack V2 is an improvement on a revolutionary NewerTech design that has already been proven to be one of the most valuable storage solutions available," says Larry O'Connor, CEO of OWC. The NewerTech miniStack V2 retails for $135.99 for an 80 GB version and is available in capacities up to 500GB at 7200RPM. An economical "add your own hard drive" kit is available for $79.95. The advantageous dimensions of the NewerTech miniStack are 6.5" x 6.5" x 1.5". NewerTech also offers a full line of accessories and professional installation services. The NewerTech miniStack V2 is available through Other World Computing and other fine retailers. NewerTech miniStack: A Great Drive Even if You Don't Own a Mac mini, our review of the original miniStack. PR: Logitech has released the Cordless Desktop S 530 Laser - a cordless keyboard and mouse combo designed especially for the Mac mini. Designed specifically for your Mac, the Cordless Desktop S 530 Laser includes a comfortable ultra-flat keyboard and a high-performance laser mouse. The stylish white and silver design perfectly matches both consumer and pro Macs. The one-touch controls on the Cordless Desktop S 530 Mac have been specifically designed to work with iTunes and iPhoto, giving you instant access to your music and photos. Dedicated keys launch Safari, Mail, Spotlight, or any other application with a single press. And all direct-access keys can be easily reprogrammed with the included software. The great styling of the keyboard is matched by the outstanding quality and feel of the Logitech typing experience. Delivering maximum comfort through unique design, this ultra-flat keyboard is less than 3/4" (19 mm) high to minimize wrist extension, and the built-in palm rest provides added convenience. The sculpted right-handed mouse follows the natural shape of your hand and delivers outstanding comfort. Logitech´s High Performance Laser tracking delivers pixel-precise navigation on virtually any surface. The innovative Tilt Wheel lets you scroll pages top-to-bottom or side-to-side. Five re-programmable buttons let you control volume and web browser back and forward without taking your hand off the mouse. Sophisticated battery management technologies mean that batteries last up to 6 months, or even longer! Both keyboard and mouse include convenient LED battery level indicators. When flashing, the LED gives approximately ten days´ notice before batteries need changing. Additionally, the mouse features an on/off switch to further extend battery life. The USB mini-receiver plugs easily into any Mac with a USB port, eliminating clutter on your desk. If you use a PowerBook or iBook, you also have the option of easily taking the mouse and mini-receiver with you when you´re on the go! For improved range or better accessibility, the included USB stand sits neatly on your desktop. PR: The Enova X-Wall engine provides real-time, hardware-based encryption and decryption. X-Wall shuttles encrypted data as fast as a standard enclosure. Unlike easily circumvented and platform dependant software-based encryption, Impact enclosures strong encrypt (DES) every bit and byte on the hard drive. The included Secure Token is a physical key which must be present to read from, or write to the drive. Without the secure key, the drive and its data are rendered useless and unreadable - 2 keys are included with each enclosure. Ruggedized mobile storage enclosures combine multi-layer hardware protection and secure 64-bit data encryption. Impact ruggedized storage enclosures provide the ultimate physical and thermal protection for your valuable data. Protection starts with Impact's tough, yet lightweight heat-dissipating 1mm thick extruded 6075 Aluminum alloy shell. The tubular shell features 2mm thick, full-length stiffening runners, providing exceptional load-bearing capibilities and physical crush resistance. A full-length bridgeboard features anti-shock damper strips and is suspended within the enclosure by full-length radial Aluminum stand-off ribs. An array of self-limiting shoulder screws are provided to prevent stripped screw guides and properly load the shock-absorbing damper strips. This arrangement forms an effective anti-shock chamber, further guarding the HDD and electronics from impact and crush damage. Self-aligning guide rails and a high profile IDE connector assure hassle-free installation of virtually all 2.5 inch Hard Disk Drives. Horizontally stackable or vertically standable via the included rubber-footed base, Impact enclosures deliver the flexibility you need to be productive. 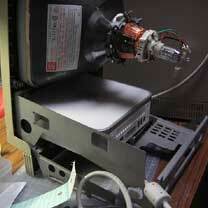 Easy Set-up: Installing your Hard Disk Drive into the Impact enclosure is fast and easy. A #0 and #1 Phillips screwdriver are required (not included) to access the enclosure and mount your drive. Maximum physical, thermal and encrypted data protection with top-speed data transfer performance. Rugged extruded Aluminum enclosure provides exceptional crush and impact protection. Heat dissipating design keeps hard drives running cool - extending their lifespan. Easy HDD installation - all hardware and high-quality connection cables included. Stack horizontally, or stand vertically using included stand base. All Impact models are fully boot capable for Mac OS 9 and 10. Front panel-mounted status LED provides positive visual feedback. Supports Hi-Speed USB data transfer speed of up to 480Mbps, and FireWire 800 data transfer speed up to 800Mbps. Allows driverless installation as a USB Mass Storage Class device under Windows XP, 2000 and ME. Supports most 2.5â€? HDDs, and ultra high capacity HDDs larger than 137GB. Combines enclosure and 1394 repeater functionality. Enables 1394 bus power via built-in DC-DC converter. Maximizes thermal protection with Aluminum construction. Provides robust HDD fixing mechanism to reduce risk of HDD damage during movement. Prevents drop damage to HDD with anti-shock design. Supports DES hardware encryption security. To operate HDD enclosure via USB2.0, Mac OS X 10.3, or 10.1.5/10.2.x with USB 2.0 driver installed is required to support high speed USB2.0. Mac OS 9.x supports full speed only. 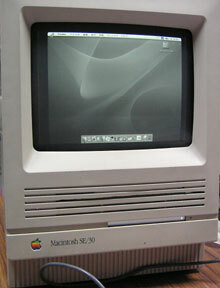 Mac OS supports USB 2.0 driver since Mac OS X 10.2.8. Connection of HDD enclosure via FireWire cable requires FireWire HDD enclosures support driver. Mac OS 8.6 users may need to download FireWire support driver in order to access HDD enclosure. 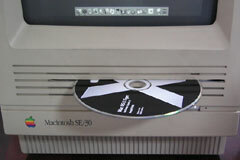 Operation of HDD enclosure via FireWire 800 (1394b) requires Mac OS X 10.2.4 or newer to support FireWire 800 speed. 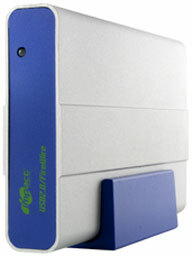 Standard and Encrypted Hard Drive Enclosures in both Firewire 800/400 and USB 2.0 models. Features two sizes and internal shock absorber. The USB Overdrive X is a device driver for Mac OS X (Jaguar, Panther and Tiger) that handles any USB mouse, trackball, joystick and gamepad from any manufacturer and lets you configure them either globally or on a per-application basis. It reads all kinds of wheels, buttons, switches and controls and supports scrolling, keyboard emulation, launching and all the usual stuff like clicking, control-clicking and so forth. The USB Overdrive can easily handle several USB devices at once. The Classic version of the USB Overdrive has most of the features of the Mac OS X version when used in Mac OS 9, and enables scrolling with the mouse wheel when installed in the Classic environment under Mac OS X 10.2 or later. Bluetooth support and the native Preference Pane are almost ready. I know you've been waiting for over two years and they are still not released- sorry about that. Family sometimes comes first. But I've been working on the Overdrive all along and I won't stop doing so. Next on the list are interface improvements, support for multiple devices, better mouse speed and acceleration, chording, and so forth. The new Universal Binary version of the USB Overdrive fully supports Apple's new Intel-based machines. Bluetooth support and a native Preference Pane are coming soon (I know I said that before, but other things have kept me busy for a while). Previous releases are available for Mac OS 9 and Mac OS X 10.1. For more deals on current, recently discontinued, and older notebooks, see our MacBook Pro deals, 12" PowerBook deals, 15" aluminum PowerBook deals, 17" PowerBook deals, titanium PowerBook deals, iBook G4 deals, PowerBook G3 deals, and iBook G3 deals.